« Do not want to ruin my pants! » was thinking the captain and running so fast, he first thought he missed his favorite shed but looking back, there was nothing but an empty garden. O dear, the so confortable shed, craftly done… was gone. Vanished into the air. After released his mind, he decided to conquer the rest of the country looking for the lost shed. 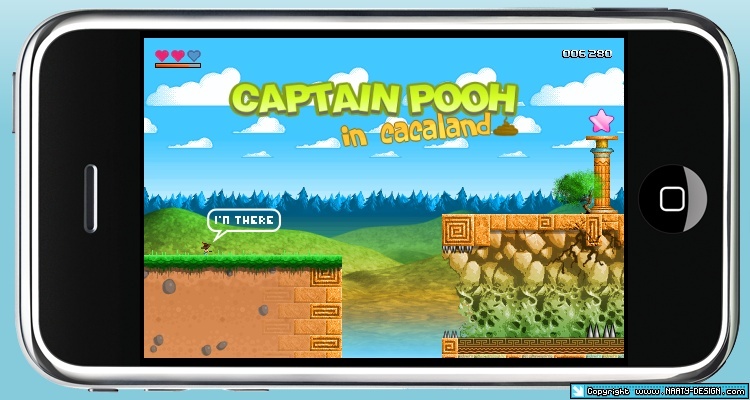 Captain Pooh in cacaland – one day on iPhone and iPod Touch (or not). Partager la publication "Dude, where’s my shed?"